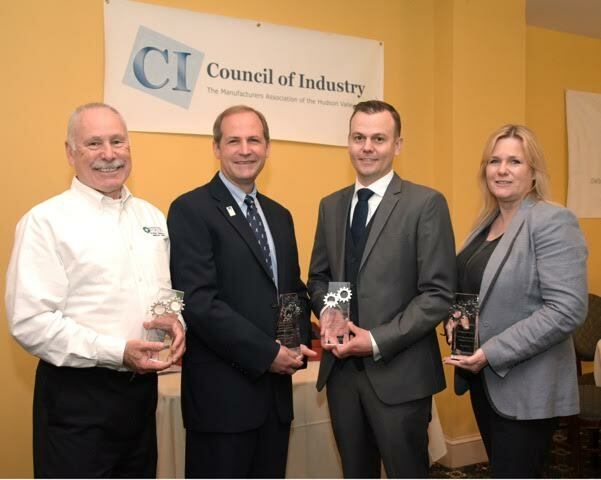 Deirdre Ryder, far left, President of VITS International, a Blauvelt-based company that prepares sheeting material from metals to paper that are used here and abroad for dozens of applications, recently received the Council of Industry’s Award for Outstanding Performance by a Woman in Business from the Council of Industry in May. It was another kudo for her after receiving the Rockland Business Association’s Pinnacle Award for Outstanding Achievement by a Woman in Business on May 4. It’s been a great year for the printing business here in Rockland!